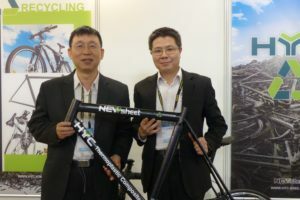 PARIS, France – The number of bicycles sold dropped below the 3 million threshold: 2.9 million bicycles were sold on French soil in 2012; a 9% drop over 2011. All segments were down except e-bikes. Overall turnover of the 2012 French bike market (including Parts & Accessories) reached €1,275 million; 4% down on the 2011 figure. As noted, all segments showed declines and to be more precise; race dropped 7%; adult French models were down 12%; city bikes minus 4% while MTBs decreased by 11%. 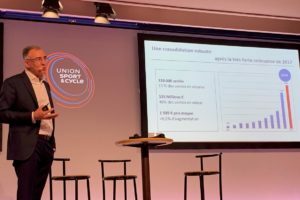 Only toy bikes sold at supermarket chains like Carrefour showed a 12% increase.The average prices for bikes sold in France last year rose slightly –from €265 in 2011 to €278 in 2012. The highest prices were paid for road racers at €1,261. The average price for an electric bike stood at €837, up from €810 in 2011. These market figures are in sharp contrast with the 2011 statistics. Last year the CNPC could still report a market upswing after five years of declining volumes. In 2011 the market expanded by 5.5% in volume to nearly 3.2 million units. The market value increased, from €1,280m in 2010, to 1,350 million in 2011. 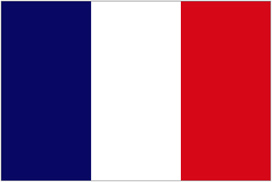 Unfortunately the French market could not consolidate last year’s results. 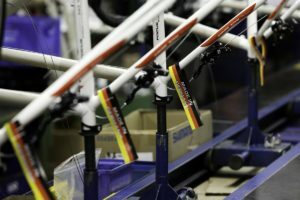 All distribution channels in France suffered in bicycles, components and accessories sales last year, but independent bicycle dealers (IBDs) had the smallest decline. Overall, dealers saw their sales drop by 2.5%. Because all other channels had bigger drops, the IBD channel upped its market share a bit, increasing by 0.5%. Big retail chains such as Décathlon saw their bike and P&A sales drop 4%, while the big supermarkets were down 10.5%. The 2012 IBD market share in the total bike sales in units stood at 51.5% and 67% in total revenues. Electric bicycles were the bright spot on the 2012 French market, despite the fact that sales increased less quickly than many had hoped for. A total number of 46,100 Vélos Assistance Electrique (VAE) were sold in 2012; up 15% on the 40,000 sold in 2011. 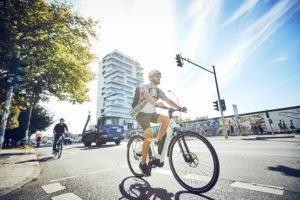 On the one hand this number contrasts sharply with the 360,000 e-bikes sold in Germany, but on the other hand, in France the e-bike sales number multiplied by 11 times in 7 years. 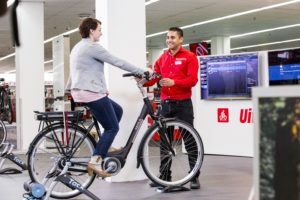 A determining factor for future growth is in the fact that currently 77.5% of all e-bikes sold are distributed through dealers that are capable of providing the right after sales service.